Note on slide: "Ced. College Parade 1964". 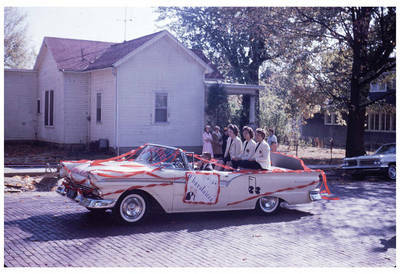 Photo shows a Choral group (The Choralaires) riding in the back of a convertible.